Sometimes it's hard to find beauty in this world when all we can see are ugly things happening. I sit, typing and thinking about life with great grief in my heart. How do I stay positive albeit wanting to scream at the top of my lungs and cry for all the injustices? How do I stay illuminated when I want to cry in sadness for the losses and for the pain I see in others? When I'm numb or unable to feel anymore, how do I continue to be passionate about living my life? Purpose says that I'm here for a reason. Purpose says that pain will happen, but it's what we do with it that matters. For me, my pain drives me to rise above. My life has been wrapped up turmoil from flames rising around me, to the drowning of the earth that holds me up. Broken glass has fallen around me, and yet, I stand. I am unable to go into details, but I just want to be an encouragement to others out there that despite what you are going through, just know that you aren't alone in your sorrows. I have my sorrows too. But they won't break me. They are just extra challenges for me to climb and break through to accomplish the arrival of my purpose. Your purpose awaits. Be strong because you are able. And, if it helps, allow yourself to grieve. This is the most important thing you can do for yourself. 1. Pray and/or meditate. There is nothing wrong with taking time to collect your thoughts and to regroup your spirit. Silence can be soothing and can help you relax from the chaos. 2. Release that anger and bitterness. If it's in the form of words or maybe even in physical responses, find outlets for your emotions that are healthy. Walking or even running when you need physical exertion can always help. I can physically push that emotion out in the form of hitting the pavement with me feet, running harder to feed the fire that I need to get through the day. For me, writing is a huge outlet--be it through blogging or by writing in my journal. Words that are festering inside can make their way out onto paper that can be torn up later and burned, if needed. That can be very therapeutic. 3. Know that it's okay. You'll make it through because you believe that you can. If you tell yourself that you will be okay because you are strong and have a purpose, you will get through anything. You are worthy and you are very loved. It's never too late to start again. 4. And, if all else fails, find someone to hold. 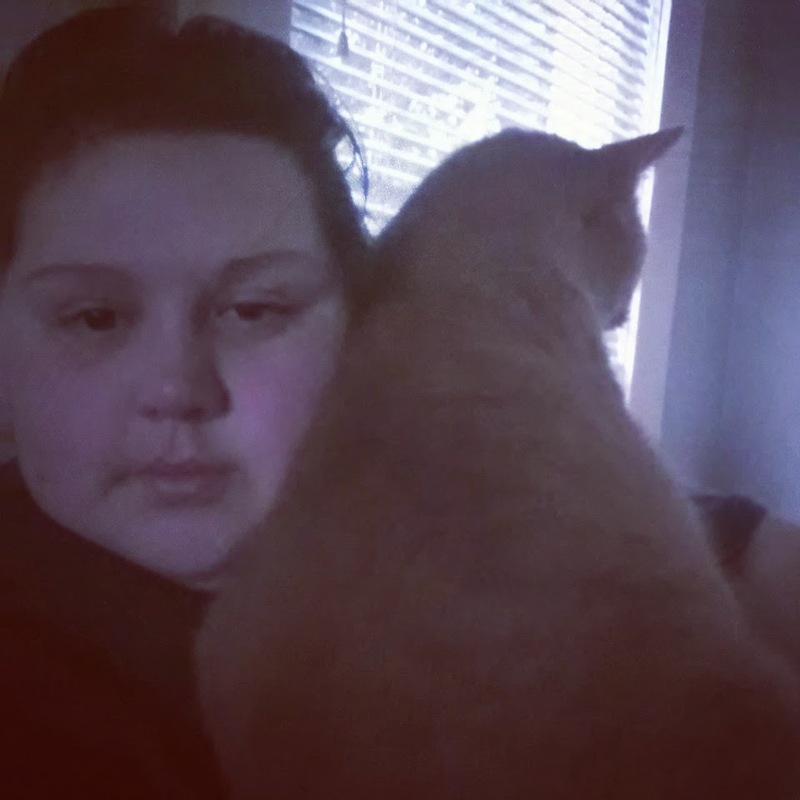 A cuddle from my Ernie-cat makes me feel better...Even if the is from a beloved furbaby, a friend, a relative... having that physical connection helps make everything feel okay, even when the world is falling around you. I pray that each of you have a hopeful and are feeling encouraged. It's up to us to find the beauty in this world. Bellezza di Vita. Beautiful moments are not promised to be perfectly happy. They can even come in the form of trying and painful times. No matter what though, we will see beauty in that.